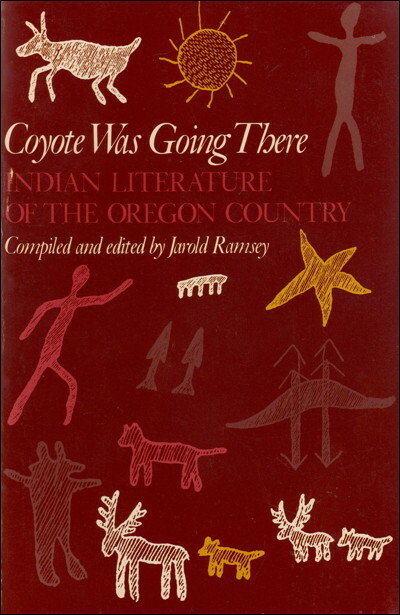 When you remove the paper dust jacket from a 1977 first edition of Jarold Ramsey's Coyote Was Going There: Indian Literature of the Oregon Country, it is a handsome book ... gold petroglyphs printed on brown cloth. 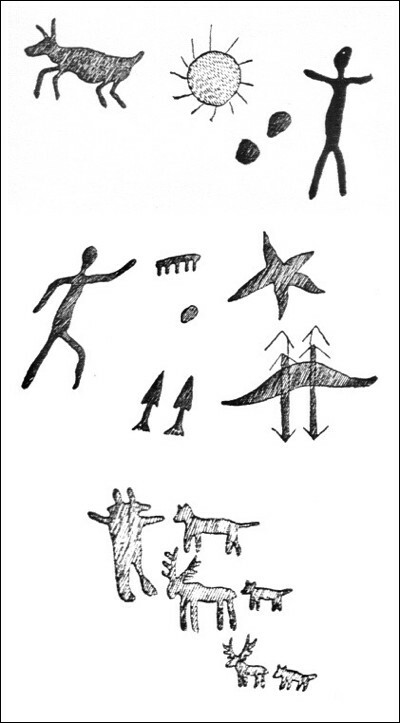 Most of these drawings were done by Luther Cressman and included in his 1937 study, Petroglyphs of Oregon. The two drawings on the cover that weren't his, were removed from the 1980 paperback edition. In his travels around Oregon, Cressman visited 52 petroglyph sites, and his subsequent study was the first attempt to document these ancient sites. Then in 1982, Malcom and Louise Loring included 248 Oregon sites in their book, Pictographs and Petroglyphs of the Oregon Country. And an additional 50 sites in Washington, and a few in Idaho and Nevada. They'd done a bit of driving to find them -- 43,000 miles -- and yet they didn't find them all. I've been to several that have yet to be written up anywhere. 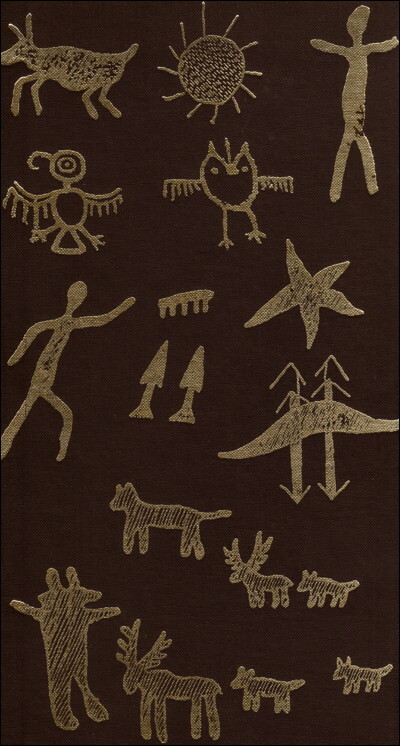 While Cressman and the Lorings were pioneers in documenting the sites, LaVan Martineau was the first to publish a book about what the symbols mean. The Rocks Begin to Speak was published in 1973, and is a must-read for anyone interested in rock writings. Jarold Ramsey's collection of Indian literature remains one of the best. It's arranged geographically, and includes an introduction of native cultures for each region. And if you don't find what you're looking for in his selection, he includes an extensive bibliography of his sources where you can find more stories. A great many of Ramsey's sources I have included as free PDFs on my website, as they have also been sources for my work as a native storyteller. It was appropriate that the publisher of Ramsey's book chose to include rock writings on the cover of a collection of stories. After all, the painted and carved symbols go beyond the rock art they are commonly referred to. They are also written versions of some of the same stories that have been told orally for centuries. It's all literature! I've included here covers of both editions of Ramsey's book as well as Cressman's original 1937 drawings.